In this short story enhanced with beautiful illustrations, the bestselling author of A Man Called Ove and Beartown delivers an insightful and poignant tale about finding out what is truly important in life. A father and a son are seeing each other for the first time in years. The father has a story to share before it’s too late. He tells his son about a courageous little girl lying in a hospital bed a few miles away. She’s a smart kid—smart enough to know that she won’t beat cancer by drawing with crayons all day, but it seems to make the adults happy, so she keeps doing it. As he talks about this plucky little girl, the father also reveals more about himself: his triumphs in business, his failures as a parent, his past regrets, his hopes for the future. Now, on a cold winter’s night, the father has been given an unexpected chance to do something remarkable that could change the destiny of a little girl he hardly knows. But before he can make the deal of a lifetime, he must find out what his own life has actually been worth, and only his son can reveal that answer. 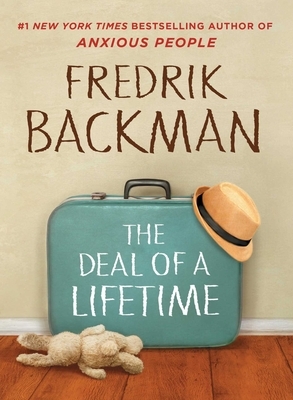 With humor and compassion, Fredrik Backman’s The Deal of a Lifetime reminds us that life is a fleeting gift, and our legacy rests in how we share that gift with others.